I've put together information about some most commonly asked questions in the LINKS section below. I hope you will find it useful. 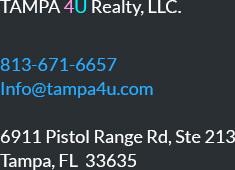 Please feel free to contact me directly at 813.966.5669 or julia@tampa4U.com with any real estate questions.